Hailing from Orange County, California, THE FALLEN have been making uncompromising heavy metal for almost a decade now. A feat that is quite amazing, considering the band resides in the same locale of such pop music darlings like No Doubt & The Offspring. THE FALLEN have always followed their own vision regarding the music they wanted to make, ignoring the mainstream and such forgotten trends like grunge and alternative, to forge their own sound in a genre that does not often reward originality. The only thing that matters to THE FALLEN is making music that resonates not only in their own hearts, but also in the hearts of people that can appreciate uncompromising, unrelenting heavy metal. 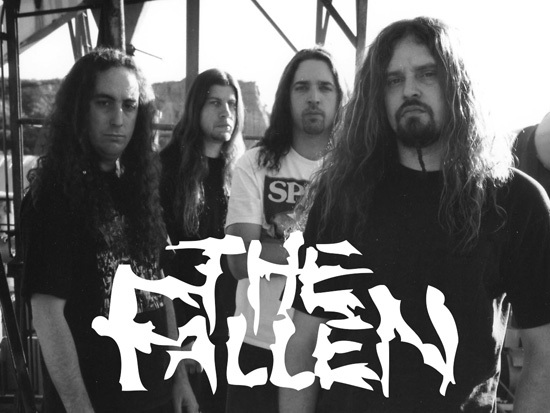 THE FALLEN first came about in 1992, emerging from a previous band named Crestfallen, which was formed by Mike Granat (lead vocals/guitar), Mark Venier (guitar) and Max Wolff (drums). After graduating Berklee College of Music in Boston and upon relocating the band to Southern California, the three hooked up with bassist Bryan Klinger and shortened the name to THE FALLEN. Wasting little time, THE FALLEN quickly hit the Los Angeles/Orange County club circuit and established themselves as a dangerous live act, opening for metal powerhouses like Testament, Entombed, Cannibal Corpse and Overkill. In early 1994, THE FALLEN‘s first demo debuted at the #1 spot on the KNAC 105.5 Pure Rock Local Show with the single “Subliminal”. More demos ensued over the years, streamlining THE FALLEN‘s sound into a unique mixture of what the band likes to refer to as “Power/Death/Thrash Metal”. National and international praise followed each demo release, and slowly but surely, THE FALLEN started to gain new fans not just across America, but also from the different corners of the world. Appearances at the Milwaukee, New Jersey and Los Angeles Metal Festivals solidified their growing reputation as one of the metal undergrounds most promising bands. Unfortunately, record companies weren’t sharing the fans enthusiasm, and THE FALLEN were forced to remain in the underground, where commercial recognition took a backseat to artistic integrity and musical vision. Never a band to base their existence on a record deal, THE FALLEN recorded their own independent full-length CD, “The Tones In Which We Speak”, and in early 2000, released it on their own website and through MP3.com. The title track was featured on the “Bluetorch Rush Hour”, a cable show broadcast on Fox Sports West that hosts extreme sports. 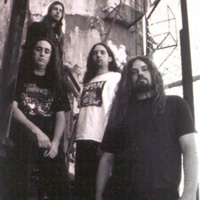 The teaming with MP3.com proved to be a wise one, as based on the strength of their debut full-length CD, THE FALLEN were able to win the Metal Search 2000 contest sponsored by Metal Blade Records & MP3.com, and a subsequent record contract with Metal Blade soon followed. 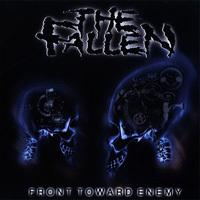 Entering the studio in late 2001, THE FALLEN paired with legendary producer Bill Metoyer to record “Front Toward Enemy”, the band’s most accomplished work to date. The future for THE FALLEN has never looked better, as the time has come for these metal stalwarts to rise from the underground and take their rightful place amongst the legions.